Plaid and printed plaid button down shirts with colored sleeve and button accents. 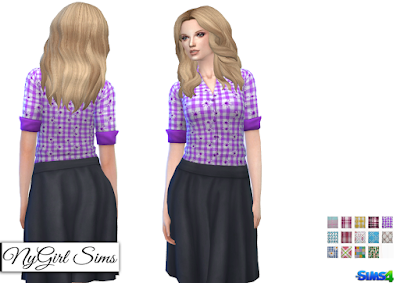 Made from a mixture of TS4 textures as well as fabric textures. Comes in 14 variations.